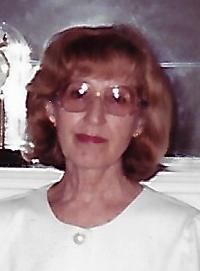 Antoinette Carter (DiBiase),87, passed away peacefully on Thursday; March 27th at Atlantic Coast Rehab in Lakewood. She is survived by her 2 brothers; August DiBiase of Dunellen and Joe DiBiase of Floirda, Grandaughter, Becky Lombardo and her 4 children, Brandon, Emily, Caitlin and Chloe. There will be a visitation on Monday; April 1st, 2019 from 9-10:30AM at the Sheenan Funeral Home, 233 Dunellen Ave, Dunellen. A funeral service will follow at 10:30AM at the funeral home. Entombment will be private.